Premium whey packed with 18g of protein per serving, for the protein you need from a quality source — the same cows that produce your milk and cheese. It’s simply filtered and spray-dried to produce all-natural nutritionals. Certified as one of the best protein supplements for quality and value by Labdoor, the independent supplement testing company — our Impact Whey Protein has been through rigorous quality and purity testing, and is officially one of the best protein powders out there. Try our US inspired flavors, including national favorites Snickerdoodle, S'Mores, Glazed Donut, Key Lime Pie, Canadian Maple and many more. It’s convenient, high-quality protein that helps grow and maintain important muscle1 — and with just 1.5g of fat, 3g of carbs, and only 100 calories per serving, it’s here to support all your fitness goals. Protein also helps you to stay feeling fuller for longer, which is great if you're looking to tone up. It also includes the essential amino acids, including 4.5g of BCAAs — these naturally occur in protein which helps to build and repair new muscle1 — so you’re always ready for the next session. BCAAs taken after exercise also help to decrease muscle damage, and promote muscle-protein sythesis — helping you to recover. Exact nutritionals dependent on flavor. 2. Creatine is proven to improve physical performance in successive burst of short-term, high-intensity exercise. The beneficial effect is obtained with a daily intake of 3g creatine. It’s fast absorbing, so we recommend adding 1 large (25g) to water or milk 30-60 minutes post-workout — but it’s ideal any time for a convenient way to get the protein you need. Made in a facility that also handles Egg, Gluten and products thereof. Chocolate Brownie Flavor: Whey Protein Concentrate (Whey Protein Concentrate, Sunflower Lecithin), Natural & Artificial Flavor, Cocoa processed with Alkali, Modified Food Starch, Sucralose, Acesulfame K, Salt. Chocolate Mint Flavor: Whey Protein Concentrate (Whey Protein Concentrate, Sunflower Lecithin), Natural & Artificial Flavor, Cocoa Powder, Sucralose,Gum Arabic, Acesulfame K.
Chocolate Smooth Flavor: Whey Protein Concentrate (Whey Protein Concentrate, Sunflower Lecithin), Cocoa processed with Alkali, Natural and Artificial Flavoring (Natural and Artificial Flavor, Gum Arabic), Cellulose Gum, Sucralose, Acesulfame K, Salt. (Natural and Artificial Flavor, Modified Food Starch), Sucralose, Acesulfame K, Salt. Natural Banana Flavor: Whey Protein Concentrate (Whey Protein Concentrate, Soy Lecithin), Natural Flavoring (Natural Flavors, Maltodextrin, Gum Arabic, Sucralose, Acesulfame K). Color (Vegetable Juice), Sucralose, Acesulfame K.
Vanilla Flavor: Whey Protein Concentrate (Whey Protein Concentrate, Soy Lecithin), Natural & Artificial Flavoring (Natural & Artificial Flavors, Maltodextrin, Gum Arabic, Sucralose, Ace K) . Boston Cream Pie Flavor: Whey Protein Concentrate (Whey Protein Concentrate, Sunflower Lecithin), Natural & Artificial Flavor,Modified Food Starch, Sucralose, Acesulfame K.
Chocolate Brownie Batter Flavor: Whey Protein Concentrate (Whey Protein Concentrate, Soy Lecithin), Natural and Artificial Flavoring (Natural and Artificial Flavors, Cocoa Powder, Maltodextrin, Modified Food Starch, Sucralose, Acesulfame K, Salt). Matcha Flavor: Whey Protein Concentrate (Whey Protein Concentrate, Sunflower Lecithin), Natural & Artificial Flavoring (Natural & Artificial Flavor, Modified Food Starch), Matcha Green Tea, Sucralose. Chocolate Stevia – Whey Protein Concentrate (Whey Protein Concentrate, Soy Lecithin), Natural Flavoring(Cocoa Powder (processed w/Alkali), Natural Flavor, Salt, Stevia Leaf Extract). Vanilla Stevia - Whey Protein Concentrate (Whey Protein Concentrate, Soy Lecithin), Natural Flavoring (Natural Flavor, Salt, Stevia Leaf Extract). Get additional benefits by using reffferrralll ccoodee "WHEY dash R7". I am not a professional bodybuilder or a trainer but I love lifting weights. This is something that gets me going and I always choose the best quality supplements to help me with it. It never let's me down. Mixes really well, tastes good and is very effective. There is nothing else I could ask for. Get additional benefits by using refferrralllll cccoodee "WHEY dash R7". Instead of the word dash, use it's numeric sign. Over the past years ive tried many protein powders. Some which i did like other the taste was awful. Now i know its not always about taste its about effectiveness. 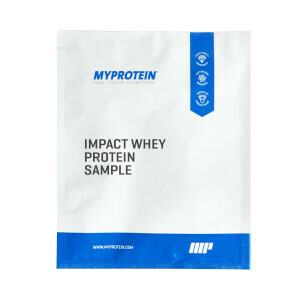 With myprotein you get third party testing which alot of companies dont do. But with my protein we know exactly what we are getting. And the taste is amazing. Butter pecan is my favorite protein. It mixes really well and no lumps are left. 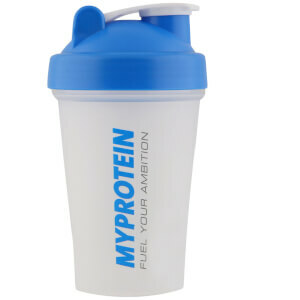 And as of some time back myprotein is the only protein i buy. Good price, great taste and its effective what more do you want. I am not a professional bodybuilder or a trainer but I love lifting weights. This is something that gets me going and I always choose the best quality supplements to help me with it. Myprotein is best in the business. It never let's me down. Mixes really well, tastes good and is very effective. I am totally satisfied with it's results. Get additional benefits by using reffferrralll ccoodee "WHEY dash R7". Instead of the word dash, use it's numeric sign. Tastes great at a good price! Get additional benefits by using reffferrrallllll ccoodee "WHEY dash R7". I am not a professional bodybuilder or a trainer but I love lifting weights. This is something that gets me going and I always choose the best quality supplements to help me with it. Myprotein is best in the business. It never let's me down. Mixes really well, tastes good and is very effective. You cannot get better quality protein at such awesome price. 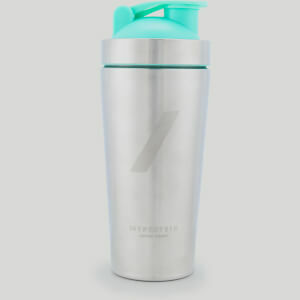 Get additional benefits by using refferrralllllllllll cccoodeee "WHEY dash R7". Instead of the word dash, use it's numeric sign. Very good taste mixing only with water. Like a chocolate milk without the milk. Everyone, whatever you do, please do not try Cookies and Cream. Go for Salted Caramel, maybe Brownie Batter, but not Cookies and Cream. It is not worth it. Get additional benefits by using refferrralllll ccoodee "WHEY dash R7". I am not a professional bodybuilder or a trainer but I love lifting weights. This is something that gets me going and I always choose the best quality supplements to help me with it. 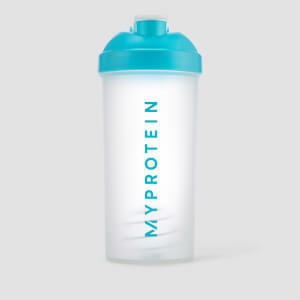 Myprotein is best in the business. It never let's me down. Mixes really well, tastes good and is very effective. With such an established brand, you don't need to worry about health safety issues. Get additional benefits by using refferrralllll ccoodee "WHEY dash R7". Instead of the word dash, use it's numeric sign. The Chocolate Mint is the best flavor I've ever had with a protein powder. The brownie batter just tastes like "sweetness" and doesn't have much flavor to it. I noticed that when I started taking this my strength training peaks where higher. Perhaps a coincidence because of the peaks and valleys that naturally occur. However my peaks where going longer and I was getting much stronger in the weight room. I am not a professional bodybuilder or a trainer but I love lifting weights. This is something that gets me going and I always choose the best quality supplements to help me with it. Myprotein is best in the business. It never let's me down. Mixes really well, tastes good and is very effective. No other brand can give the value for money that it does. Get additional benefits by using refferrralllllllllll cccoodeee "WHEY dash R7". Instead of the word dash, use it's numeric sign.